Jamaica's Minister in the Ministry of Economic Growth and Job Creation, Daryl Vaz announced the ban on Monday. On Monday, Jamaica's government announced a long-awaited ban on single-use plastic bags, also known as 'scandal bags', straws and Styrofoam containers to take effect on January 1, 2019, and the Jamaica Environment Trust (JET) has described the decision as a “bold move”. At the same time, JET is urging the Government to make suitable alternatives to plastic bags available to the public. Minister without portfolio in the Ministry of Economic Growth and Job Creation, Daryl Vaz, announced the pending ban on Monday during a press conference at Jamaica House. Vaz has responsibility for the environment. The Minister outlined that the ban extends to the importation, manufacture and distribution and use of all single-use plastic carrier bags, specifically those with dimensions at or below 24” x 24”. At the same time, single-use plastic bags that are used to maintain public health or food safety standards such as those used to package raw meats, flour, rice, sugar and baked goods such as bread, are exempt. - Plastic straws (both imported and locally manufactured) are to be banned. - Special accommodations will be made for people who require plastic straws due to a physical disability. - Plastic straws attached to beverages (boxes/tetra packs and pouches) will be banned effective January 1, 2021. - Imported Styrofoam food and beverage containers are to be banned effective January 1, 2019. 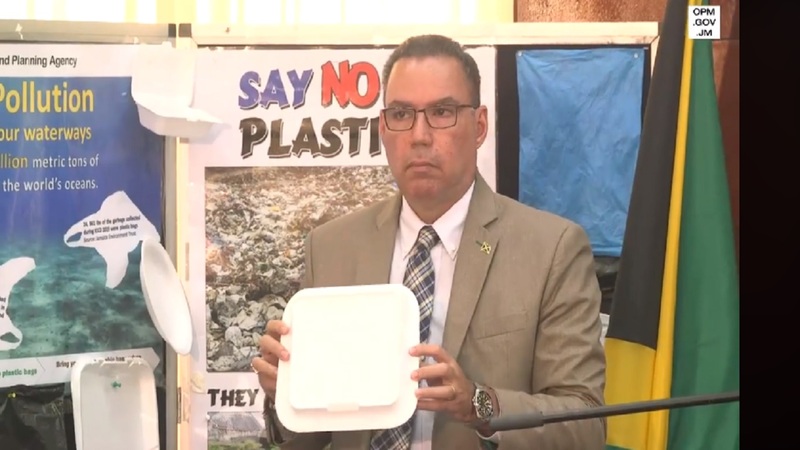 - Locally manufactured Styrofoam food and beverage containers are to be banned effective January 1, 2020. Exemptions will be granted for Styrofoam packaging used to maintain public health and food safety standards, e.g. raw meat. - Manufacturers and importers of shopping bags made of polyethylene must apply to the National Environment and Planning Agency (NEPA) for limited exemptions. These applications will be considered on a case-by-case basis for continued manufacture and importation no later than January 1, 2021. - Manufacturers are being urged to produce paper-based and other environmentally friendly alternatives for the domestic market. In the meantime, JET, in a statement on Monday, said it shares the concerns about the impact the ban on plastic grocery bags will have on the containerisation of garbage by households. “These types of plastic bags have been well-established as “free” garbage bags and are used by many Jamaicans for this purpose. JET strongly recommends that the GOJ take immediate action to address this concern …,” said JET. 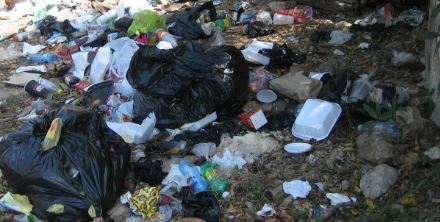 JET noted that the ban follows decades of advocacy to have Jamaica’s plastic pollution addressed. “The new strategies tackle plastic pollution at their source – removing several types of non-biodegradable packaging from the market and the country's waste stream. The bold move by the GOJ is in line with global trends to reduce or eliminate single-use plastic packaging and represents a positive shift in environmental policy by the GOJ,” said the environmental watchdog. 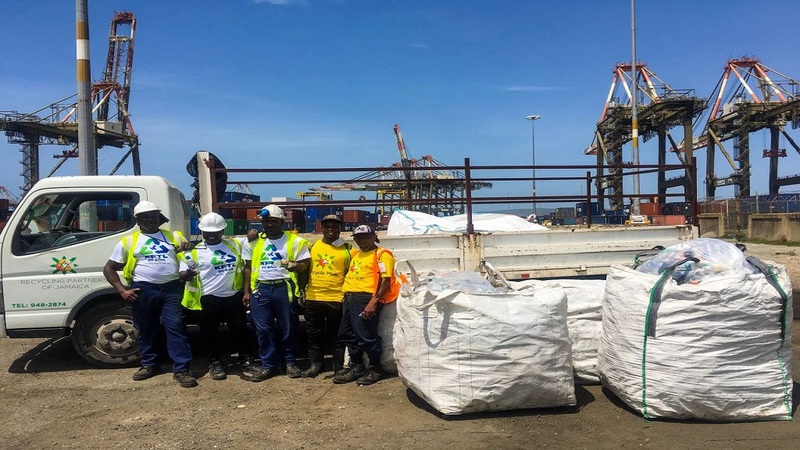 It said it looks forward to further details on how the ban on plastic packaging will be implemented and enforced at the nation’s ports and in the wider economy. 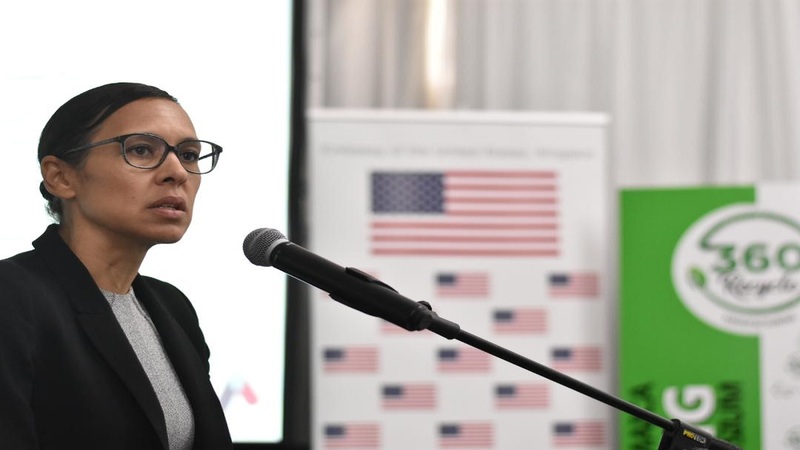 It also reckons that public education, and the identification of, and improved access to, suitable alternatives to plastic packaging will also be critical, as Jamaica prepares for the ban over the next few months. At the same time, JET said it remains concerned about PET plastic beverage bottles, which constitute about 15 per cent of the island's waste stream, especially as recycling programmes are not well established.